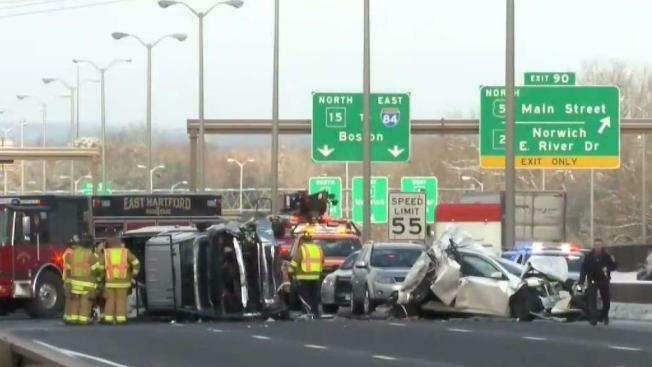 A woman from Cos Cob has died from her injuries after a four-car crash that forced a closure of the southbound side of the Charter Oak Bridge in East Hartford on Monday. 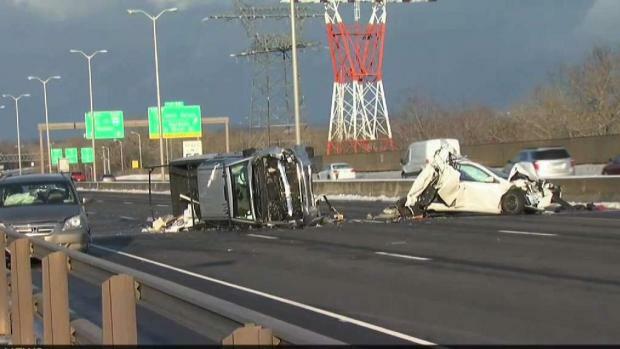 The crash happened around 2:18 p.m. Connecticut State Police said a 67-year-old woman driving one vehicle was seriously hurt and six other people were taken to the hospital for minor injuries or evaluation. The southbound side of the Charter Oak Bridge, Route 5 and 15, is closed in East Hartford after a crash, according to state police, and they warn drivers to expect heavy delays through rush hour. The woman, later identified as Kathryn Kesseli Guimard, of Cos Cob, died on Saturday, February 23, from injuries sustained in the crash, police said. Charter Oak Bridge currently closed Southbound for a serious MVA. @EastHartfordFD paramedics treating seven patients. Please use an alternate route if traveling on Rt 15 South. State police said the initial investigation suggests that a Chevrolet Silverado rear-ended a Toyota Camry in traffic. The pickup pushed the sedan into a Honda Odyssey, which in turn side-swiped a Chevrolet Equinox. The crash is still under investigation. Anyone who witnessed the crash should contact State Police Troop H.